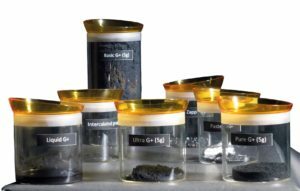 Directa Plus is among the biggest factories and suppliers of graphene based products in the world, listed on the London AIM. Its G+ is a high performance, enabling nanomaterial, made working on physical components and not on chemical components, dermatologically tested and certified. 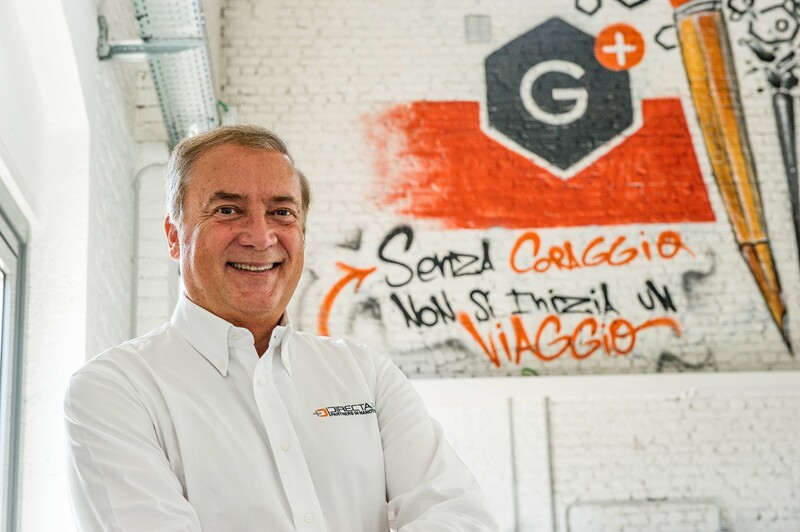 Established 13 years ago as a factory of carbon nanoparticles, Directa Plus is an Italian technology company located within the ComoNext Science and Technology Park in Lomazzo (Como); its Grafene Plus is a real revolution. 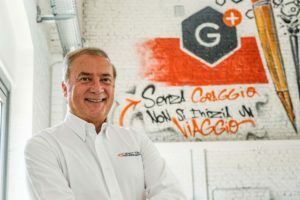 We visited the company, its Advanced Development Area – the heart of the research section, and Officine del Grafene – the manufacturing hub, and asked Giulio Cesareo, founder and chief executive officer of the company, to tell us the whole story. Graphene is 200 times stronger than steel, the first bi-dimensional material, the most conductive ever, and the thinnest. Being flexible, stretch, transparent and above all multipurpose, it fits everywhere. G+ is single or multiple layers (up to 12) of carbon atoms as thick as a single atom. It is infinitely small. The revolution brought about by the company refers to number of patents and mainly consists of the way they process the material, that is a physical transformation process from 3D to 2D. «We do not apply chemicals as all other manufacturers do» Mr. Cesareo explains. «In the end, such products get in touch with the skin and are harmful; we simply use physics. In the textile industry we are the only company claiming as many as 9 graphene non-toxicity and non-cytotoxicity certificates, resulting from 7 in vitro and 2 in vivo tests that ensure graphene processed fabrics as being hypoallergenic and tolerable to the skin». The approach to the market was revolutionary too: «Against high tech companies approaching highly sophisticated markets as their first target, we chose to address the existing market, so as to be able to impact upon everyday life. 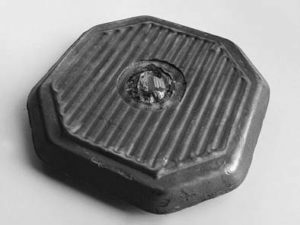 We first worked on applications in the bicycle tires industry, where we succeeded in replacing carbon blacks with incredibly good results. We then understood that we were ready to go to bigger markets and so we approached the textile world». The first application of G+ in the textile industry was a thermal one; it happened through the design of the so called Planar Thermal Circuit, a visible circuit printed on garments, that adds a new body-fabric interaction pattern to traditional techniques that work on breathability and water tightness. 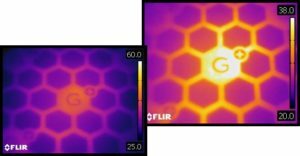 G+ can balance hot and cold spots within the body, because of its heat dissipation properties that homogenize temperature, counteract the formation of hot spots while offering a feel-good factor. It is bacteriostatic and anti-odour too. There is no need of investment from brands in the industry: graphene reaches the moulding plant as a thermally conductive paste to be applied directly on woven textiles. 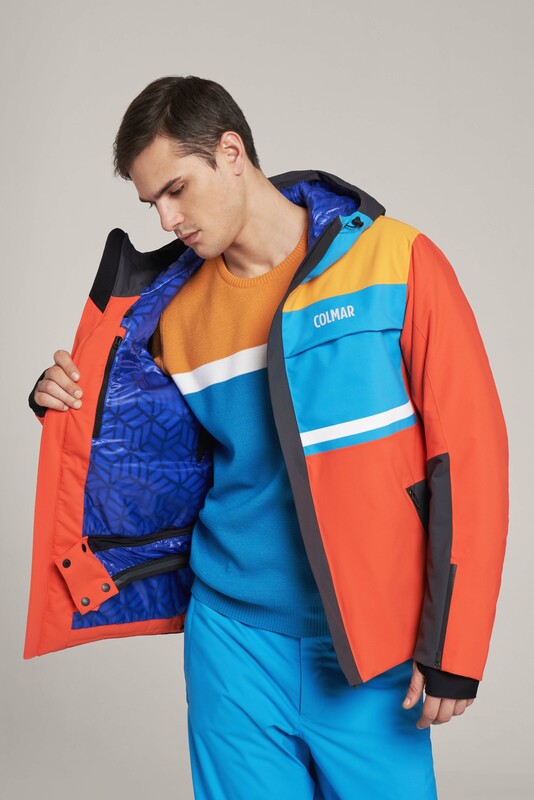 Colmar has already brought to market number of garments featuring this technology: polo shirts, underwear T-shirts and sky trousers, wind-jackets… genuine experience products that offer a prompt feel-good factor. «To athletes it is something really incredible – as Mr. Cesareo claims – and we are thinking of offering these garments to sport professionals. We are developing some scientific collaboration projects outside our company aimed at statistically showing the capacity to lower temperatures and we have already carried out in excess of 150 tests in climatic chambers». He adds: «We are the only manufacturer that can generate extremely big volumes while driving prices to the right direction by good timing. We try to make high tech meet creativity in the textile industry and we can help brands relocate themselves within their life cycle. I think it would be good to see Italian creativity and technology work together in athleisure, citywear, fashion». 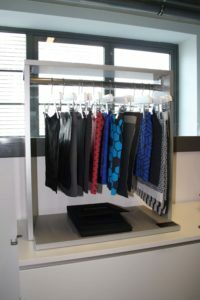 Some innovations immediately aroused a lot of interest and reached the workwear industry in a very short time, where Alfredo Grassi has been working for 90 years; Directa cooperates with this company. Their target is to maximize the effects of the circuit for different needs, from workwear uniforms to jackets for law enforcement agents, to emergency services teams. «While working with Grassi we realized that this big market is keen to technical requirements of the garments – as Mr. Cesareo points out-. Now we focus on activating as much as possible a technological convergence with the textile industry to implement opportunities which could not be implemented until now». «A further development covers the possibility to make materials flame proof, hence opening up good market opportunities: often uniforms and workwear in general have to be flame proof by law. 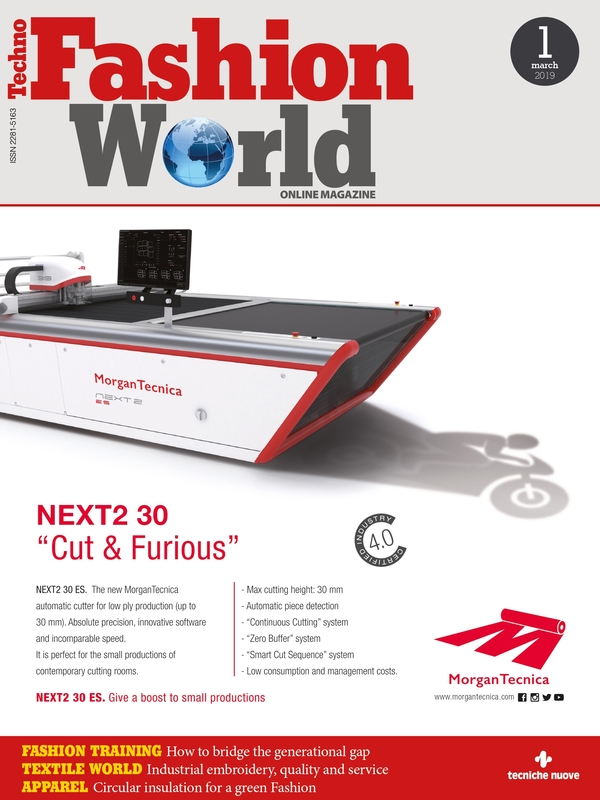 Until now, manufacturers in this industry applied less sustainable processes in order to meet this requirement. 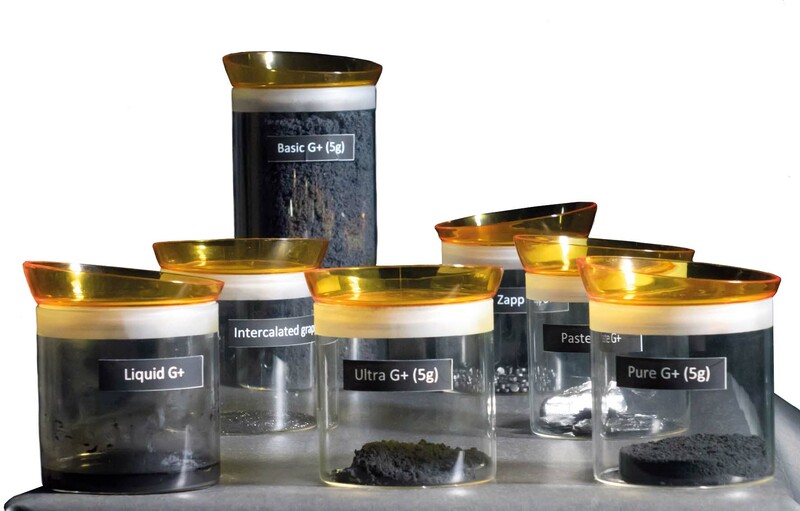 Graphene will meet the requirement with a high performance providing for a safe and healthy environment». 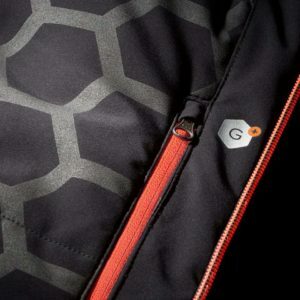 Almost two years ago the company started a cooperation with Eurojersey, applying the G+ performance to its polyamide and elastane tech textiles Sensitive® Fabrics; these fabrics allow a very free sporting life under all weather conditions. A brilliant achievement for Directa Plus that gave it the opportunity to share its great attention to sustainability. However, polyamide is not the only material treated. One can mould/print G+ on any fabric, from polyester to polypropylene, from viscose to cotton, wool and so on. CEO adds: «Today we manufacture a paste and have it moulded; however, the next step is having graphene joined with yarn in a different moulding process. Some extremely interesting opportunities appear, with very different materials». A further, interesting application of G+ covers a moulding process on membrane, implemented by Directa Textile Solutions, a branch of our company that markets both traditional and G+ enriched membranes. «Membranes processed with our materials feature a high thermal and electrical conductivity, plus their own features. We can take a membrane, add some thermal and bacteriostatic features that combine well with breathability, and obtain an extremely interesting hybrid material».